Power Construction Roofing & Siding, Corp.
Modern Standing Seam Metal Roofing Corp. Comment: I seem to have a leak in a flat portion of my roof. Comment: Shingles blew off and water is coming in. Front roof needs replaced, and an immediate repair Back shingles were replaced about 5 years ago. Comment: We got a lot of rain recently and noticed two spots on our ceilings that appear to be roof leaks. One is in our downstairs bathroom (the leak is situated in a spot where it's unlikely to be a plumbing issue). The other is in our upstairs bathroom and also looks like it came from a roof problem. We need help identifying the sources of these leaks and repairing them. Norfolk Construction & Renovation, Inc.
Westwood Roofing Contractors are rated 4.69 out of 5 based on 2,375 reviews of 70 pros. 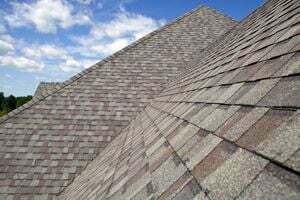 Not Looking for Roofing Contractors in Westwood, MA?